It’s the dead of winter; a tough time to envision being on the water. 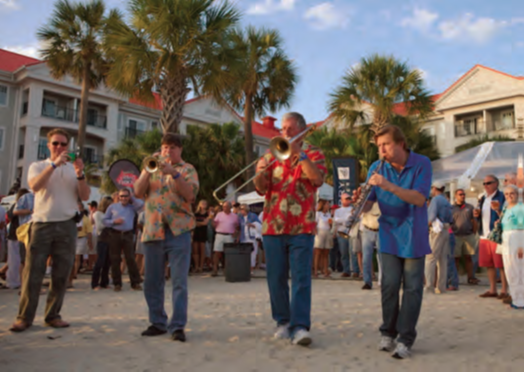 But the upcoming sailing season isn’t that far away, and one of the best ways to get a jump on it is to make your way to the South Carolina Lowcountry in early April for Sperry Top-Sider Charleston Race Week. As its marketing tagline proclaims, this is “a regatta like no other,” and it’s quickly becoming a bucket list event for racing sailors everywhere. Race Week, as locals and regular attendees refer to it, is a misnomer. This gathering is actually three days of top-tier competition augmented by four evenings of fun, beachside parties. No matter what label you choose, the event is tough to beat. And that’s why more and more owners and crews of monohulls 20 to 80 feet – from Seattle to Miami, from San Diego to Portland, Maine – are engraving it on their racing itineraries each year. Over the past five years, Charleston Race Week has grown at an impressive rate, with the scratchsheet burgeoning almost exponentially. In 2013, there were 269 boats on the water, most of them trailerable one-designs. A significant segment of the recent growth can be attributed to professional sailors. Last spring, if you were a Group 3 sailor from the U.S. and you weren’t in Naples, Italy for the America’s Cup World Series, chances are you were in Charleston. There were five Rolex Yachtsman of the Year winners in attendance in 2013, along with six Olympic medalists, a couple dozen America’s Cup veterans, numerous world and North American champions, and even an inductee of the National Sailing Hall of Fame. And, you should also know that the organizers throw in a few new twists every year as a means of adding value and further engaging participants. This year, they’re upping the ante regarding educational offerings. There will be more post-race panel discussions, a few more clinics and even an entertaining team race exhibition. “One of our goals this year,” says Draftz, “is to make sure that everyone who attends has the chance to go home a better sailor.” Now that’s a great way to get a jump on the sailing season. 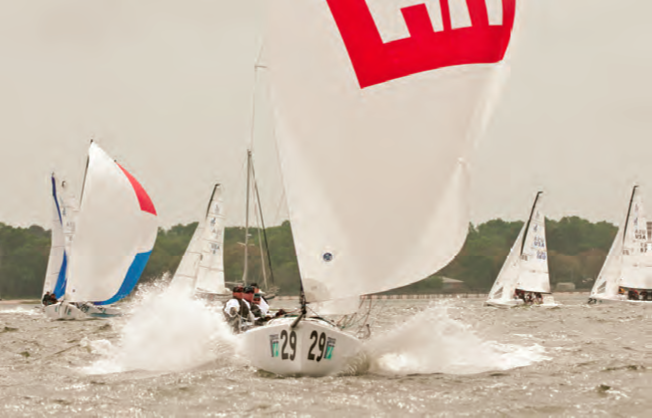 For additional information about Sperry Top-Sider Charleston Race Week and to register, log onto charlestonraceweek.com or follow it on Facebook and Twitter.